When editing an entry sometimes it's only necessary to put in the year rather than the exact date. You can do this on Papers3 for both Mac and Windows. Select the article and go to the inspector window on the right. Select the information tab. 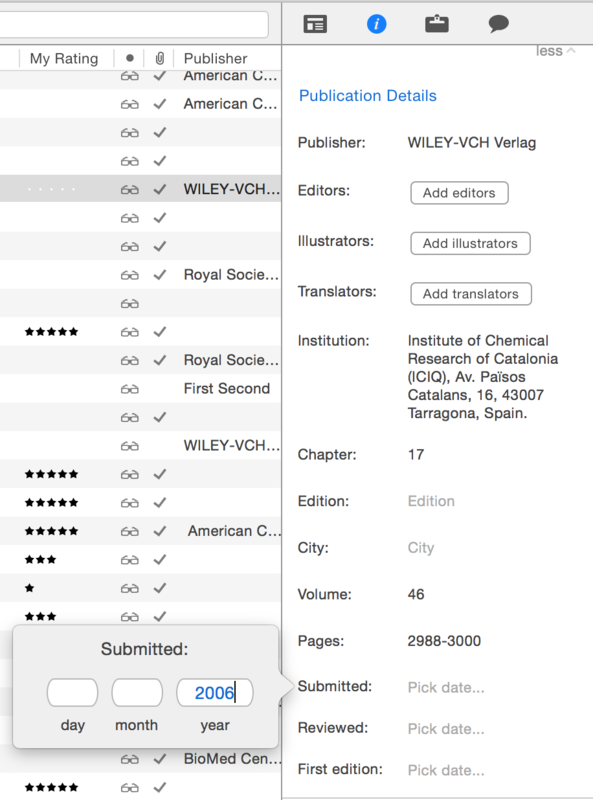 Below the title Publication Details, select the date you wish to add/edit. Enter the year and press Enter. Now only the year will appear.